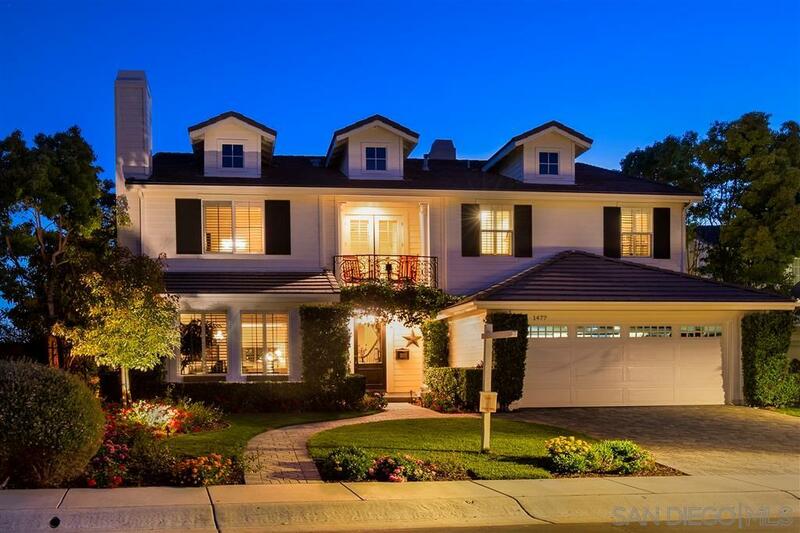 Impeccable, upgraded San Elijo Hills home is a must see from the curved wrought iron staircase & circular indoor balcony, to the breathtaking panoramic ocean & mountain views. The home features gorgeous hardwood flooring, wood plantation shutters, French doors, dual pane windows, a sprawling master suite with a retreat, walk-in closet & balcony, & a beautiful spacious kitchen with an island & bar seating! Custom Pool/Spa with two waterfalls, gas fire pit, and a side yard with turf!